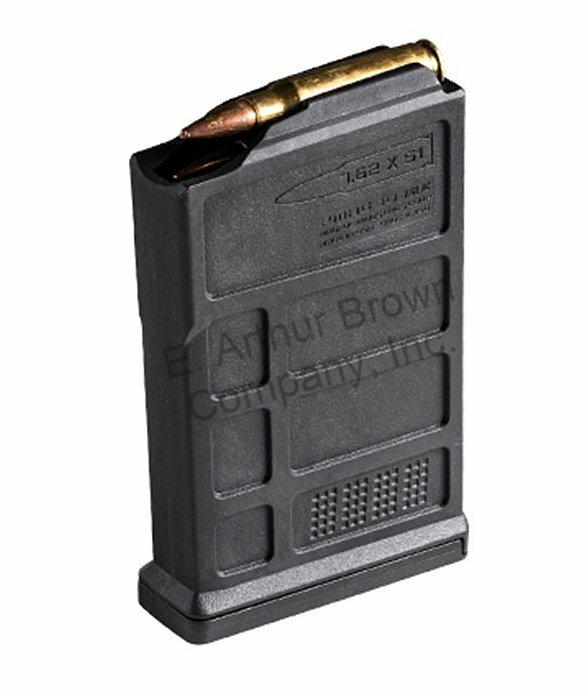 The PMAG 5 7.62 AC is a reliable and durable polymer magazine for .308 Winchester based family of cartridges and is compatible with short action AICS-spec bottom metal, to include the Bolt Action Magazine Well for the Hunter 700 Stock AND our CDI/Choate DM Conversion stocks for Savage Rifles. Featuring GEN M3™ technology, a paint-pen dot matrix for visual identification, and a flared base plate for positive control and ease of retrieval, the PMAG 5 7.62 AC sets a new standard for bolt action magazines. I purchased these mags to use with the SA Savage stock. They work flawlessly. They function with 6.5 Creedmoor.